Betacoin is a decentralized Internet currency that enables instant payments to anyone in the world. 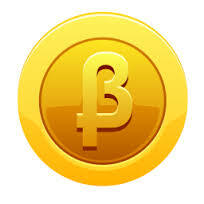 It is based on the Bitcoin protocol and uses SHA-256, but differs from Bitcoin in some specifications. Betacoin provides faster transaction confirmations (4 minutes average block generating time). The Betacoin network is scheduled to produce 32 million currency units. Fast difficulty adjustment – every 6 blocks difficulty changes plus or minus 1-2% from current network. NO PREMINE – public after the first block was mined.